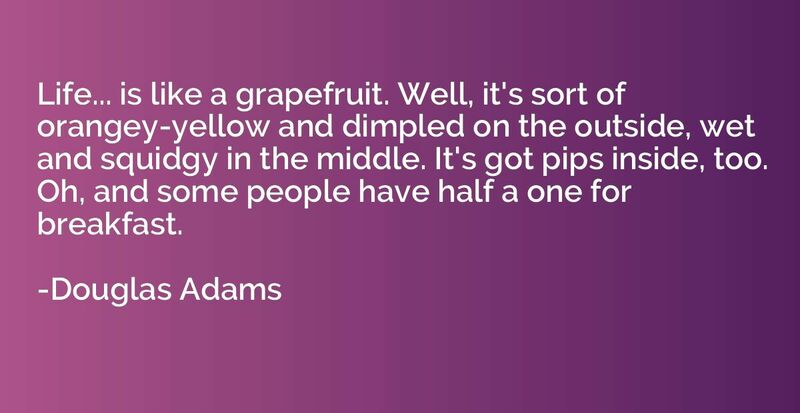 Life... is like a grapefruit. Well, it's sort of orangey-yellow and dimpled on the outside, wet and squidgy in the middle. It's got pips inside, too. Oh, and some people have half a one for breakfast.